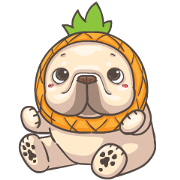 Naughty French Bulldog PIGU’s animated tenth sticker set! 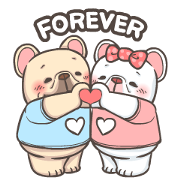 The animated sticker set from PIGU and his girlfriend, DOSA, are finally out! 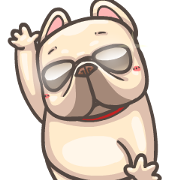 Naughty French Bulldog PIGU’s animated seventh sticker set! Happy Chinese New Year! 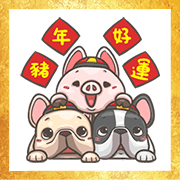 French Bulldog-PIGU, HANJI, DOSA, and Little Pig-DOUZHAI are all here to help you celebrate the Spring Festival.